Send your mail with a T. rex of your choosing! This summer, you will be able to connect with your inner dinosaur enthusiast when the U.S. Postal Service begins selling stamps featuring the creatures. There will be a total of 16 stamps available, the U.S. Postal Service said. "'The “Nation’s T. rex,' the young adult depicted on two of the stamps, was discovered on federal land in Montana and is one of the most studied and important specimens ever found," postal service officials said in a release earlier this week. 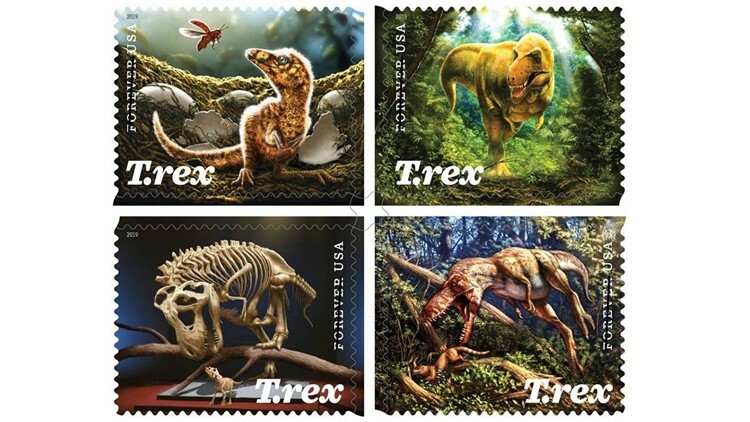 The Smithsonian National Museum of Natural History said the stamps were created by Julius Csotonyi. Csotonyi's work will also be featured in the new Fossil Hall at the museum which opens June 8. The T. rex from Montana will be on display in Fossil Hall this summer as well. The U.S. 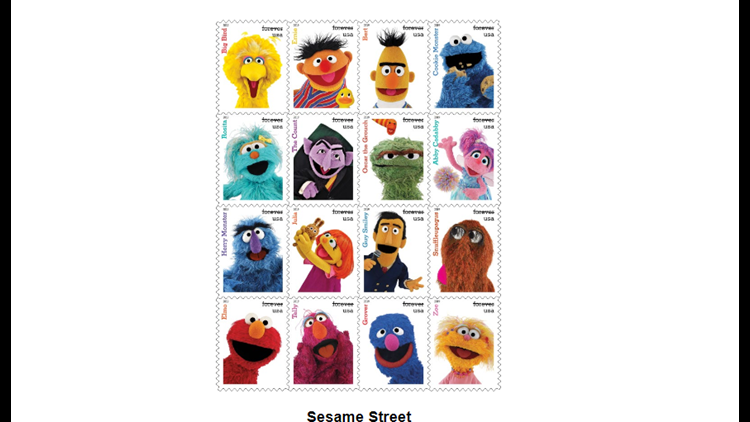 Postal Service will also have a set of stamps featuring Sesame Street this summer.